SANFORD, Fla. The judge in the murder trial of George Zimmerman said Saturday that prosecution audio experts who point to Trayvon Martin as screaming on a 911 call moments before he was killed won't be allowed to testify at trial. Judge Debra Nelson reached her decision after hearing arguments that stretched over several days this month on whether to allow testimony from two prosecution experts. One expert ruled out Zimmerman as the screamer and another said it was Martin. Defense experts argued there was not enough audio to determine who the screams are coming from. Zimmerman's attorneys also argued that the state experts' analysis is flawed. Nelson ruled that the methods used by the experts aren't reliable. But her ruling doesn't prevent the 911 calls from being played at trial. The screams are crucial pieces of evidence because they could determine who the aggressor was in the confrontation. Martin's family contends it was the teen screaming, while Zimmerman's father has said it was his son. Opening statements are set for Monday in the second-degree murder trial for the former neighborhood watch volunteer who says he fired on the unarmed black teenager in self-defense last year. Zimmerman is pleading not guilty. The elimination of the audio experts will likely shorten the trial by a week. Before the ruling, attorneys had predicted the trial could last two to four weeks after opening statements. A spokeswoman for prosecutors didn't immediately return an email Saturday. Audio experts from both sides testified at different times during the hearing, which stretched over three weeks. Voice experts were hired by lawyers and news organizations to analyze the calls, which were made during the confrontation between the two. The experts arrived at mixed conclusions. In deciding whether to admit the voice-recognition technology used by prosecution audio experts Tom Owen and Alan Reich, Nelson had to determine whether it is too novel or whether it has been accepted by the scientific community at-large. "There is no evidence to establish that their scientific techniques have been tested and found reliable," the judge said in her ruling. Owen was hired by the Orlando Sentinel last year to compare a voice sample of Zimmerman with screams for help captured on 911 calls made by neighbors. He said Zimmerman's voice doesn't match the screams. He only compared Zimmerman's voice to the 911 calls because he didn't have a voice sample for Martin at the time. "The screams don't match at all," Owen testified during the hearing. "That's what tells me the screams aren't George Zimmerman." Owen also testified that remarks Zimmerman made in a conversation with a police dispatcher aren't a racial slur. 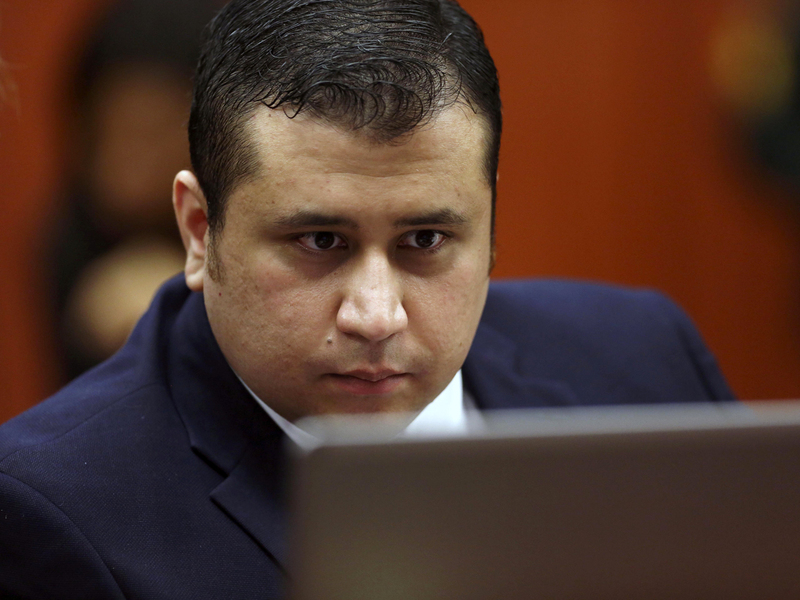 He testified Zimmerman said, "These [expletive] punks." Reich testified in a report for prosecutors that the screams on the 911 tapes were from Martin, and the defense does not want him to testify at trial. Reich's analysis also picked up words that other experts couldn't find. They include the words, "This shall be" from Zimmerman and "I'm begging you" from Martin. Reich's testimony would "confuse issues, mislead the jury," the judge said. In contrast, a British audio expert testified for the defense that it would be extremely difficult to analyze voices by comparing screaming to a normal voice. "I've never come across a case in my 13 years where anybody's tried to compare screaming to a normal voice," said audio expert Peter French. A second audio expert for the defense, George Doddington, also criticized prosecution experts who said Friday that screams and pleas on a 911 recording likely belonged to Martin. "It's all ridiculous," Doddington said.